In the mid-19th century, the rediscovery of the United States' colonial past led to a vogue for replicas and adaptations of of 18th-century prototypes. 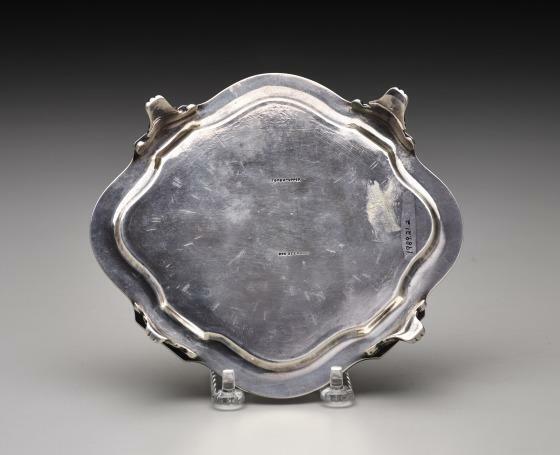 This tray, attributed to William Gale and Son, is part of a nine piece tea and coffee service based on Neoclassical wares produced by Paul Revere, Jr. and his contemporaries a century earlier. The firm reinterpreted rather than imitated Revere's designs, maintaining yet elongating the basic fluted shapes and applying bright-cut engraved decoration more liberally. Barbara McLean Ward & Gerald W. R. Ward. S_ilver in American Life: Selections from the Mabel Brasy Garvan and Other Collections at Yale University_ (Boston: D.R. Godine, 1979), 173. 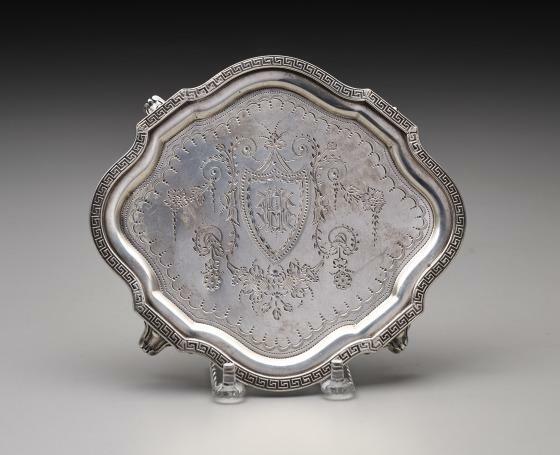 Read a biography of Paul Revere, Jr., the silversmith whose work inspired this William Gale & Son tea and coffee service. View a fluted and bright-cut teapot designed by by Paul Revere, Jr.